I had no preconceived notions about nuclear prior to coming into the position. I think, like many other people, it made sense to me to stay in check with my personal impact on the environment – the car I drove, products I purchased – but I hadn’t considered the impact that the source of my power had on the environment. Since joining the industry and learning that nuclear energy is the largest source of greenhouse gas free energy in the world, I’ve traveled across the country talking to college students and the media about nuclear power. I have spent a lot of time talking with people about the need for a clean energy portfolio so that we can balance the need for power with the need to protect the environment. There are two sides to every coin and being able to openly discuss the positives and negatives of each energy source will result in a more informed public and allow them to make more educated decisions on their support for any energy source. My family still focuses on the things we have direct control of. In fact, it has been a goal for me and my husband to teach our children to respect nature and to be aware of others’ environment. We often remind ourselves of the advice given on our favorite PBS show that says, “living free and in the wild,” which also serves as a useful tool in enticing them to return their gifts of bugs and worms back to the outdoors. We talk candidly with our kids about our everyday habits – like making the choice to recycle rather than throw away, or learning to reuse and re-purpose – which has helped them be more aware and is rewarding when we see them sharing the concepts with others. 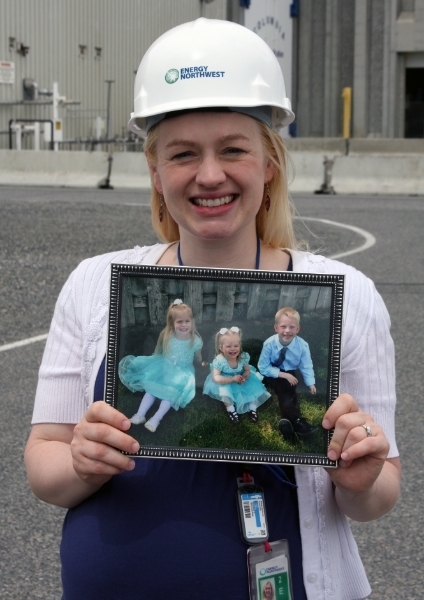 At the end of the day, my children know that mom works to provide clean nuclear power. I work each day to ensure the continued safe and reliable operation of my station, to preserve the environment in the Pacific Northwest, and so my three (soon-to-be four) children can have clean electricity – and a healthier planet - for years to come. This article represents the views of Desiree Wolfgramm and not those of her employer.